People walking the Red, Yellow, White (Branford) and Orange trails between the Stony Creek Quarry and Red Hill Road recently have reported observing broken poles and cables that are down on the ground or sagging from the damaged poles where the trails cross the power line right of way (ROW) that crosses the Van Wie and Quarry Preserves near Red Hill Road. 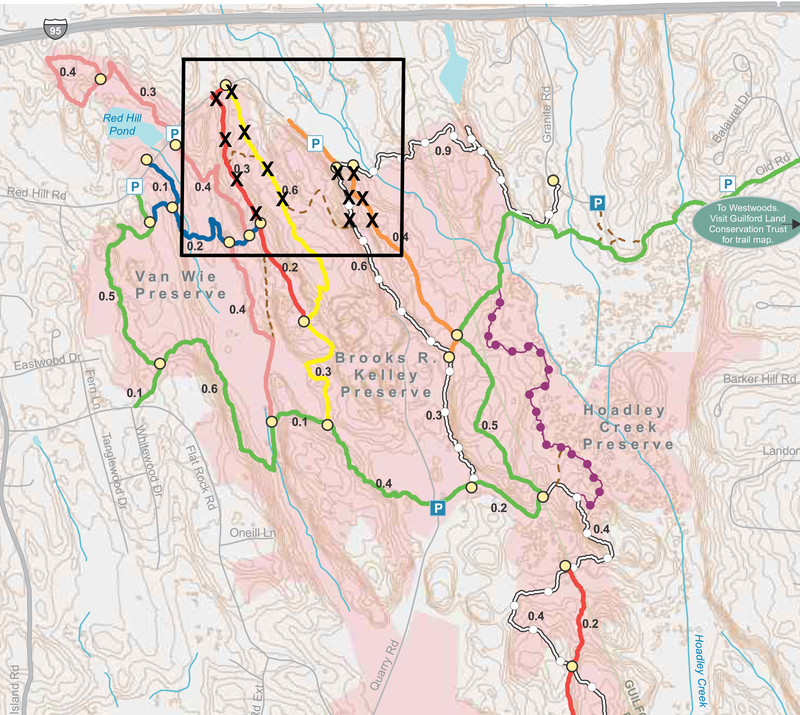 In the coming week, Eversource will be working to remove cables that are still suspended over the Orange and White trails adjacent to Red Hill Road and cables that are on or near the ground on the Red and Yellow trails. Once this initial work is complete the trails will be reopened until the poles and lines can be removed later this year. Eversource is still finalizing dates for the work to be done in the fall. We will follow-up with more details when they become available. For now, please avoid the trails that cross the right of way and be alert for work crews in the area who will be removing the cables and poles.